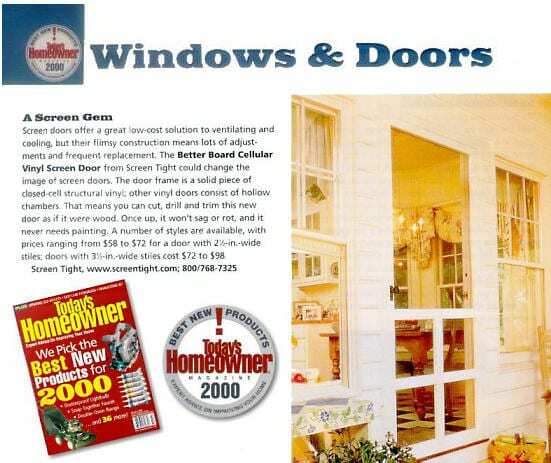 Original article published in Today’s Homeowner Article — now part of This Old House. 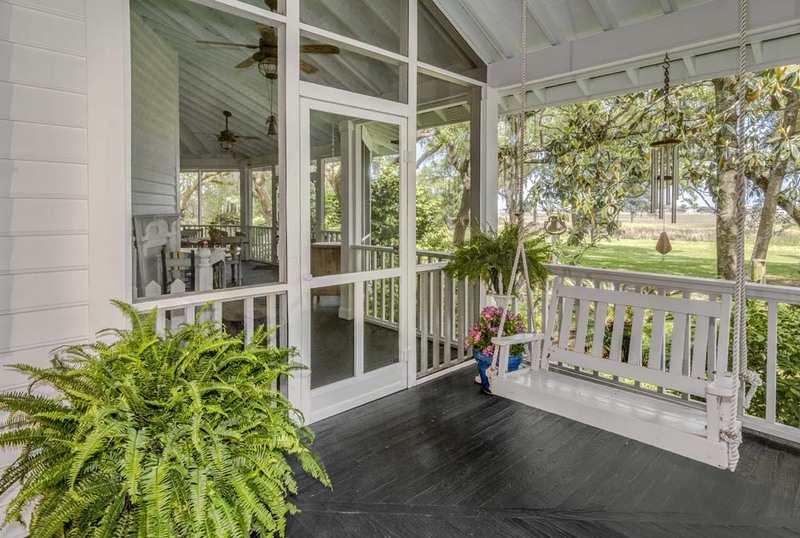 Screen doors offer a great low-cost solution to ventilating and cooling but their flimsy construction means lots of adjustments and frequent replacement. The solid vinyl screen doors from Screen Tight could change the image of screen doors. The door frame is a solid piece of closed-cell structural vinyl. Other vinyl doors consist of hollow chambers. That means you can cut, drill and trim this new door as if it were wood. Once installed, it won’t sag or rot, and it never needs painting. A number of styles are available, with a range in prices.